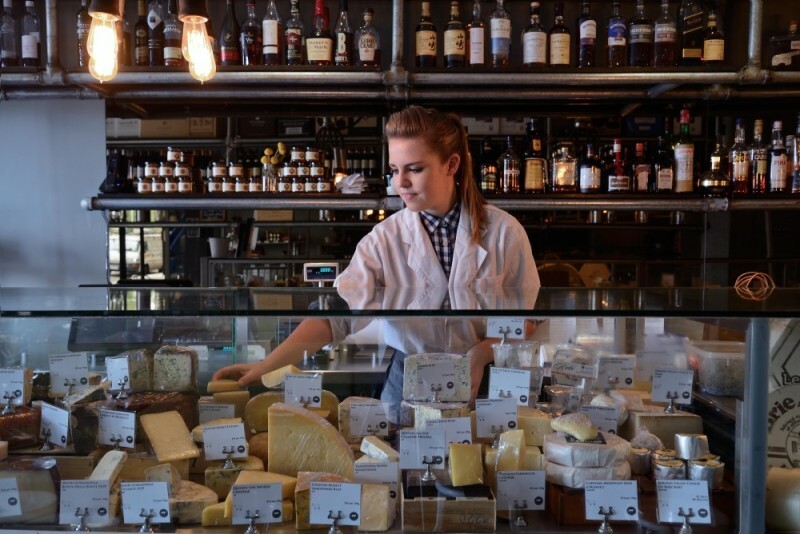 Whether it’s soft cheese or hard, gooey or goat-y, a whole selection for your cheese platter or just the right Comté for your cheese toastie, Melbourne’s inner city fromageries have got you covered for quality French cheese. 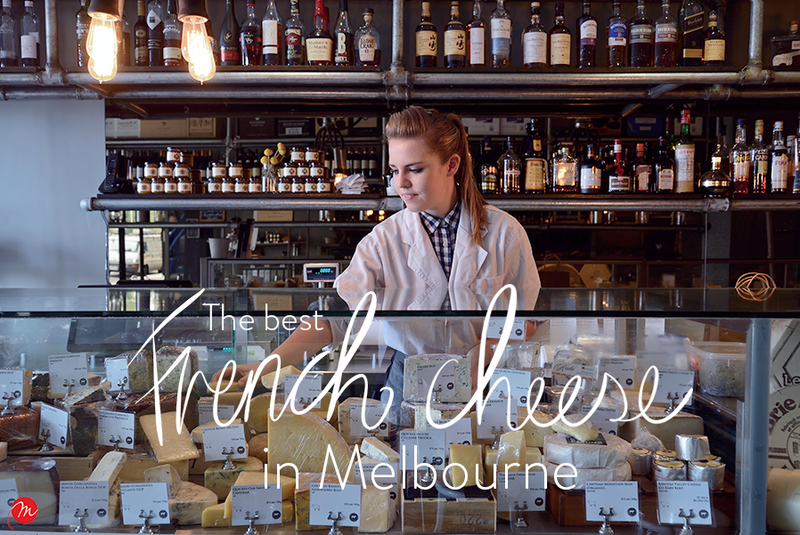 I visited five of inner Melbourne’s very best places to buy French cheese and spoke to the people who work daily in these stores about what they love most when it comes to all things cheese. 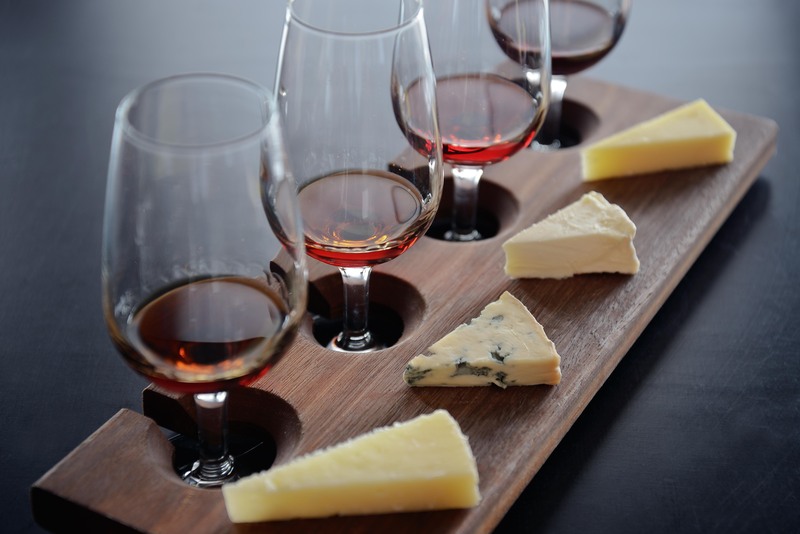 This is the ultimate place to have a beautifully curated cheese platter and a glass of wine in Melbourne. But it’s also a lovely, if not a little pricey, place to buy French cheese to take home. About half of Milk The Cow’s range is French, with bries proving the most popular with Melburnians. 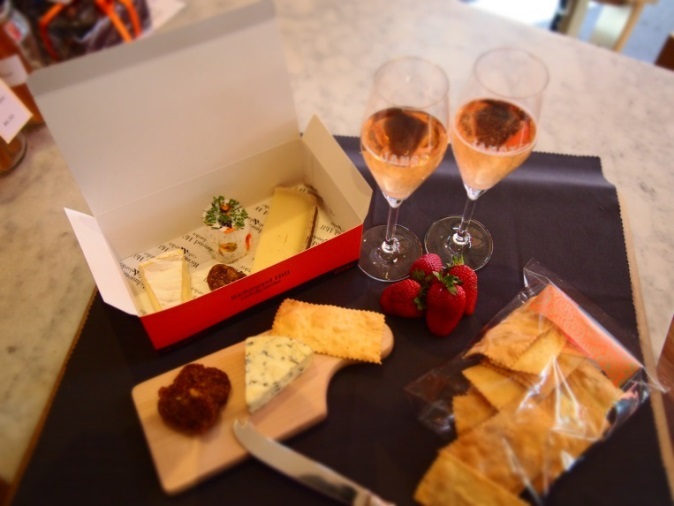 Andrew, a sommelier who has been with Milk The Cow since it opened, recommends Époisses de Bourgogne: a very soft cows-milk cheese, which was apparently Napoleon’s favourite cheese! Where: 157 Fitzroy Street, St Kilda and 323 Lygon Street, Carlton. When: Carlton: 7 Days a week 12pm – Late. St Kilda: Monday open for special events. Fri & Sat: 12pm – 1am. 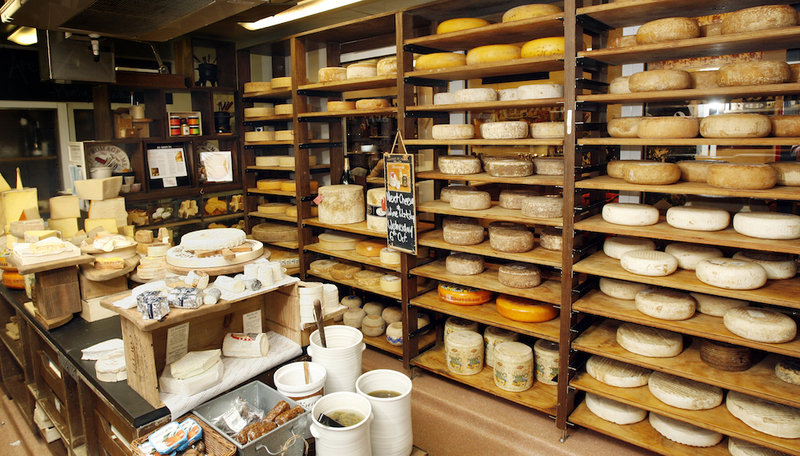 As you descend the stairs into the Spring Street Cheese Cellar, the smell of cheese is intense and mouth-watering. 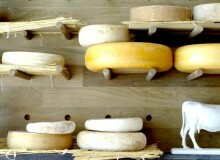 Frenchman Victor Persinette looks after the cheese counter, which is covered in a stunning display of cheeses, including seasonally flavoured bries and an extensive range of goat’s cheeses. Where: 157 Spring street, Melbourne. When: Mon – Sun 9am – 9pm. 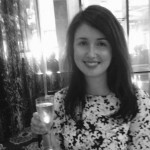 Run by the lovely Anna Burley, this deli and fromagerie stocks a wide range of cheeses, including a number of very popular French ones. I buy cheese here regularly and when I ask about French ones, Anna is excited to tell me that within the next month they’ll be significantly increasing their French contingent (up from approximately 10% of stock currently) with a new ongoing consignment of more unusual and lesser-known French cheeses. Curds and Whey also stocks a number of local and artisan butters than you can buy by the gram; perfect for your next French baking project. Where: Deli Hall, Queen Victoria Markets, Melbourne. When: The market is open Tuesday & Thursday – Sunday. This French deli stocks almost exclusively French cheeses, along with enough pâtés, cured meats, sauces, dips and deli items to satisfy any French expat or Francophile. Ilaria, a long-time employee, recommends the Delicé de Bourgogne, a strong and creamy cheese a bit like a brie. “It’s so good,” she enthuses, and I have to say, I think she’s right. Where: 290 Lygon Street, Carlton. When: Mon – Sun 9am – 6:30pm. Running for almost 20 years, this fromagerie within a restaurant is led by the charming Celia Hinault, who is originally from the Rhone Valley in France. As I eye the beautiful selection of 80 to 90 different cheeses, Celia recommends the Meli Melo, a firm cheese that is strong and bitey but incredibly creamy. She tells me it should have a nutty, rustic taste with long in the mouth flavour and she’s absolutely right. Celia also recommends a Camembert de Normandy created by Hervé Mons for the international market (i.e. using pasteurised milk). Celia talks passionately about this master cheese maturer, also known as an affineur, who acquired and renovated a disused train tunnel in order to mature his cheese in it. You have to love a cheese with a story like that! Where: 48-50 Bridge Road, Richmond. When: Mon – Thurs 9am – 4:30pm. Fri – Sun 8:30am – 5pm. 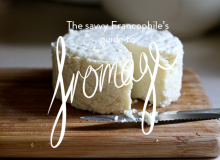 Do you have a favourite French cheese? Or know a great place that should be on this list? Share your tips and recommendations in the comments below. 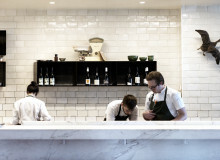 Images courtesy Milk the Cow, Curds and Whey & Richmond Hill Café & Larder.